September 14, 2018 – Nomination forms are now available for the 2019 Women of Distinction honors. In celebration of Women’s History Month, Santa Fe College has honored more than 150 women who have made significant contributions in Alachua or Bradford County. 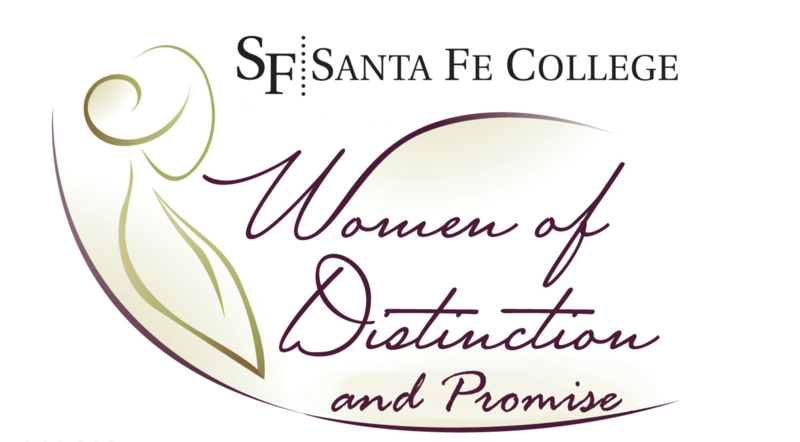 Each year, SF accepts nominations for both Women of Distinction and Women of Promise. The women selected will be honored at the 2019 Women of Distinction luncheon, scheduled for Tuesday, March 26, 2019. Nominees for Woman of Distinction should be women who have made significant achievements as leaders or pioneers in their profession. They should be considered innovators of unique programs and services, and advocates for issues relating to women. These women should exhibit excellence, ingenuity, leadership, and a commitment to community and public service within the Alachua and Bradford County areas. Nominees should be willing and committed to partnering with Santa Fe College in supporting our diverse student population through advocacy, education, professional development and philanthropy. Nominees for Woman of Promise should be young women between the ages of 16 and 21 who demonstrate character, achievement and leadership in Alachua or Bradford County. Nominees should be willing to partner with Santa Fe College in encouraging excellence, education and community service with our student population. They should also be willing to represent Santa Fe College at various events throughout the following year. Nomination forms must be received by Friday, Nov. 9. The honorees will be announced before the end of the year. For additional information about Women of Distinction, contact Teri McClellan at 352-395-5201 or teri.mcclellan@sfcollege.edu.